FLUX:FX by NOIISE is a Mobile Audio App. 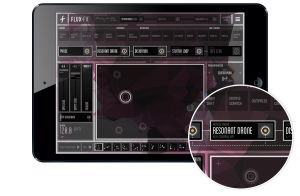 FLUX:FX is a professional multi-effect audio processor app for the iPad that lets you 'play' your effects. 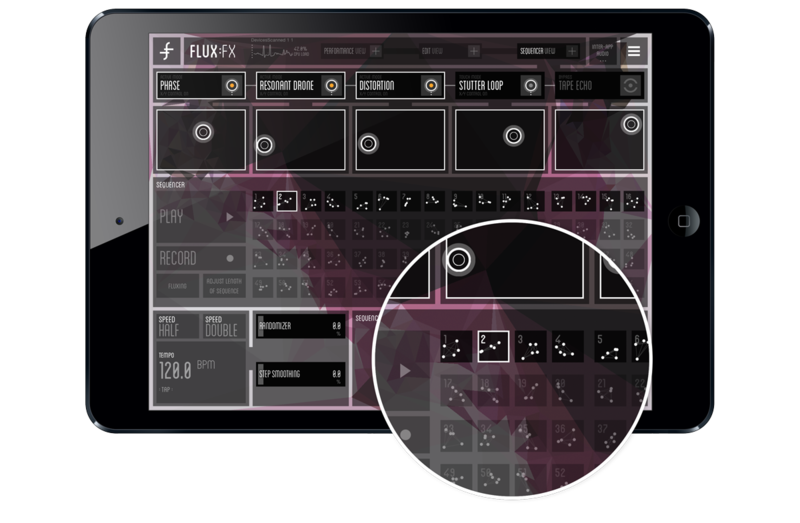 Innovative yet intuitive, FLUX:FX lets you manipulate any audio signal into something entirely new, and redefines the possibilities of audio and live performance in an app with an extremely large range of effect options. FLUX:FX is a truly authentic multi-touch digital platform for sound design. Guitar, bass, synth, drums, vocals, DJ setup, violin... any audio signal can be processed in real-time by FLUX:FX. 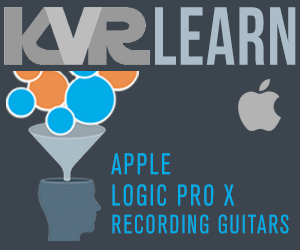 Over 18 months in development, this app was designed in conjunction with acclaimed musician Adrian Belew for studio and live use. CREATIVE EFFECTS: FLUX:FX has 31 studio-quality effects to choose from, and an almost unlimited range of settings to let you twist and sculpt your sound. Chain 5 together for maximum aural impact. SEQUENCER - A touch-based automation sequencer for your effects that adds a fluid dimension to your sound design. DEEP EDITING POSSIBILITIES - Every parameter of every effect is editable, assignable and with the fine tuner dial, precise. 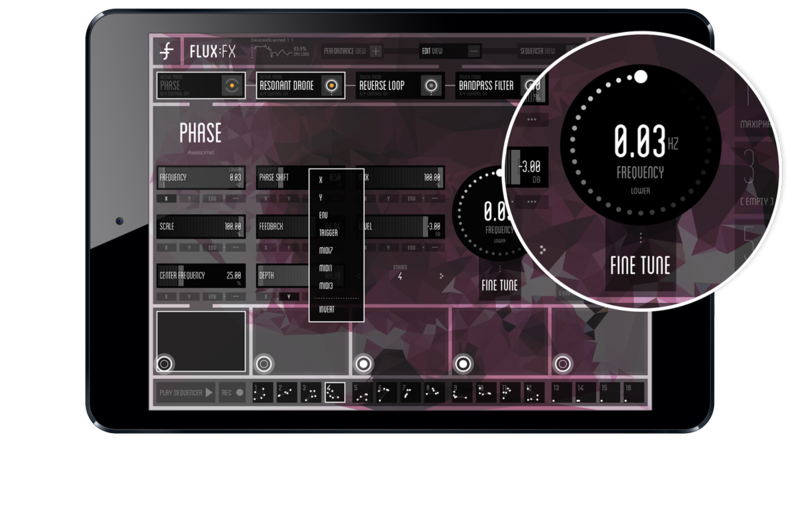 TRANSPARENT INTERFACE DESIGN - FLUX:FX has a minimalist interface combining easy-to-use controls with a liquid polygon audio visualizer. No fake road-worn pedal graphics here. 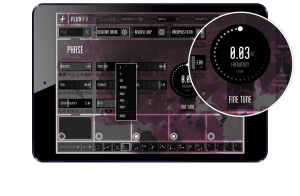 MADE TO BE TOUCHED - Designed and built from scratch as an iPad app, FLUX:FX is not a port from an existing plugin, it is made to be touched. And swiped, and dragged, and tapped. No tiny dials here. PLAYS WITH EVERYTHING - Audiobus compatibility (including saved states), Inter-App Audio compatibility, MIDI, virtually all the audio interfaces... they just work with FLUX:FX. ULTRA LOW LATENCY - FLUX:FX features ultra low-latency settings to give truly professional performance capabilities. "FLUX:FX makes sounds that I have never heard before from any other piece of equipment. It can truly mangle any signal you put into it... in a good way. The touch controls means that I can actually PLAY the effects - say I'm playing a guitar solo, I'll lean over and noodle with it and create some wacky guitar sounds. This app is just so creatively inspiring and fun to use." - Adrian Belew. Nashville-based Adrian Belew is considered to be one of the most influential guitarists of the last 50 years. With a CV including some of the biggest names in music from Frank Zappa, David Bowie, Nine Inch Nails and King Crimson to Talking Heads, Paul Simon and Tori Amos, Adrian is famous for pushing the boundaries of guitar in both technique and tonal exploration. 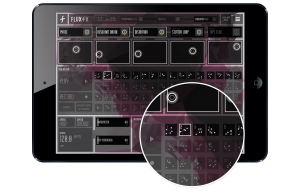 Adrian released the media platform app FLUX by belew in November 2014, and the FLUX:FX multi-effects app represents the second part of his 'app strategy'.